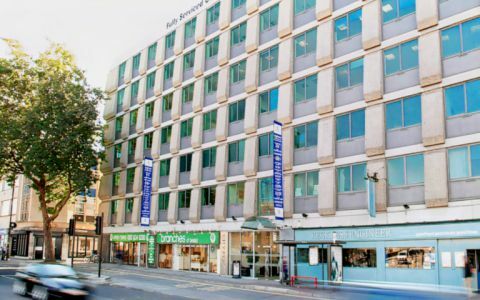 Multi storey modern serviced offices in Bristol facing Temple Mead train station. With our All Inclusive serviced office Package, prime location and award winning Customer Service - this is not to be missed! Our unique ALL INCLUSIVE serviced office package comprises of: Inclusive Telephone Calls/ Inclusive / mg guaranteed broadband/ Inclusive Black & White photocopying, laminating and binding/ Inclusive Refreshments/ Inclusive Doughnuts on a Friday! Subject to terms and conditions. The Bristol serviced office is located in the prominent BS1 business district and is situated directly opposite Temple Mead Train station.